New member campaign for ARM - The Association of Rotational Molders. Most associations have a similar challenge: to recruit new members and to show added value to their current members and prospects. 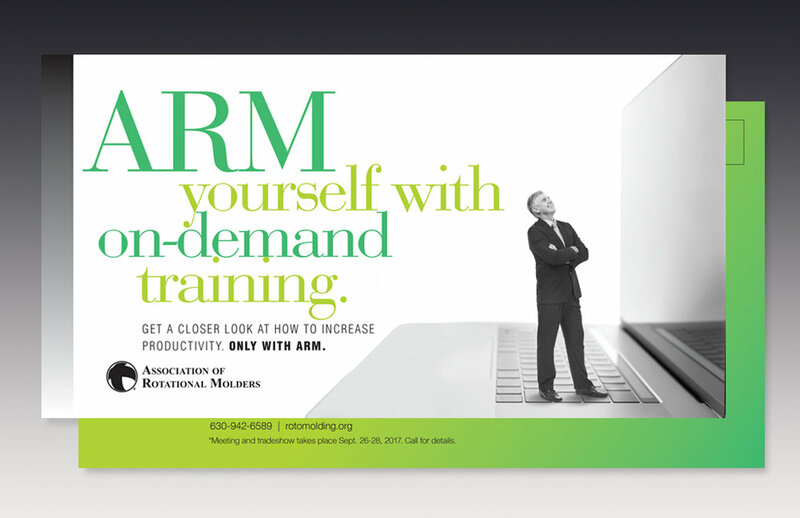 ARM, The Association of Rotational Molders, needed to promote their online education and training programs, product-specific learning modules, and advertising and industry support. We developed a three post card campaign to go out individually, ten days apart.